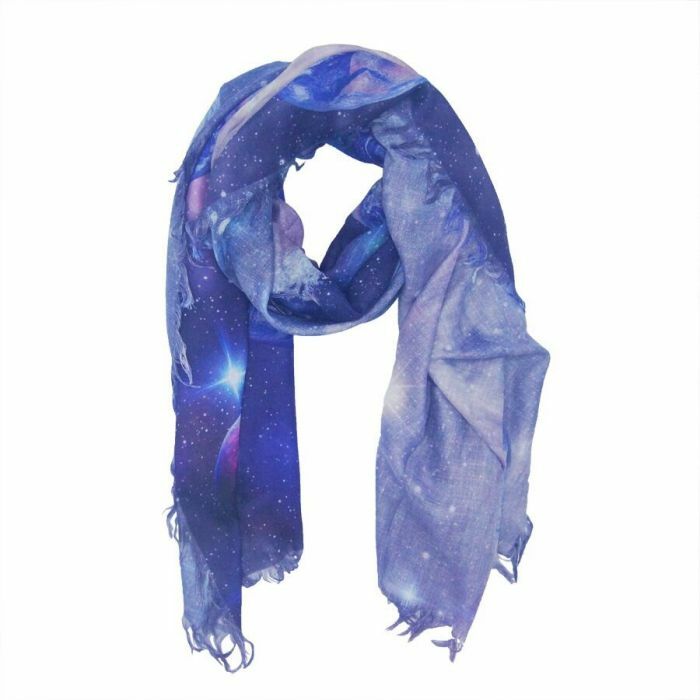 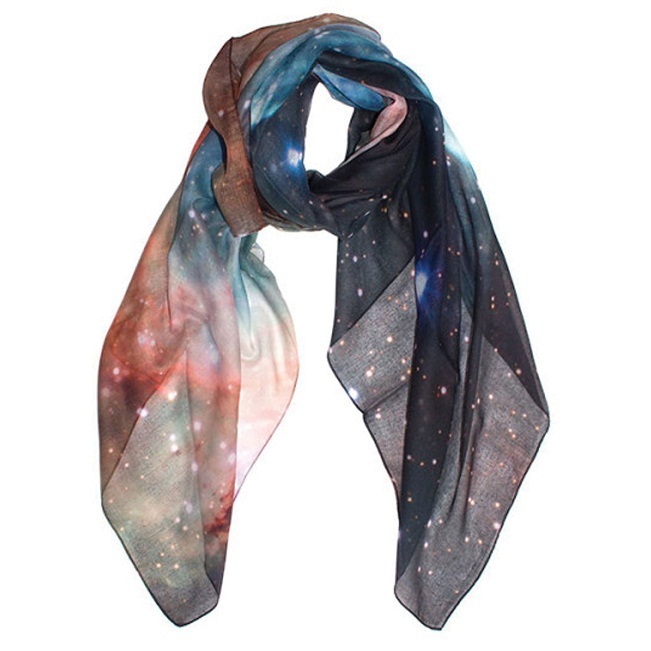 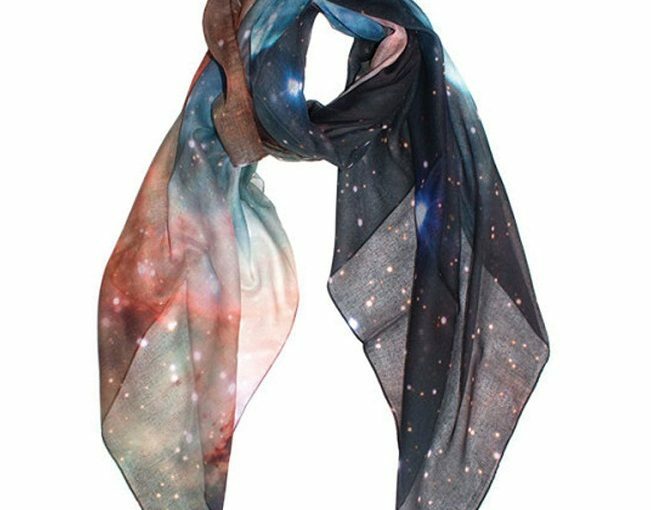 Galaxy scarves provide a new look to any drab outfits instantly. 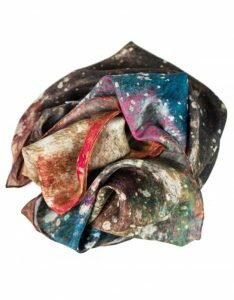 Cotton ones are for summer styles while silk and other materials are mostly used during the winter season. The open-end scarf with galaxy prints is enticing enough to wear with black or any other monochromatic outfit. You may pair up with ankle boots. 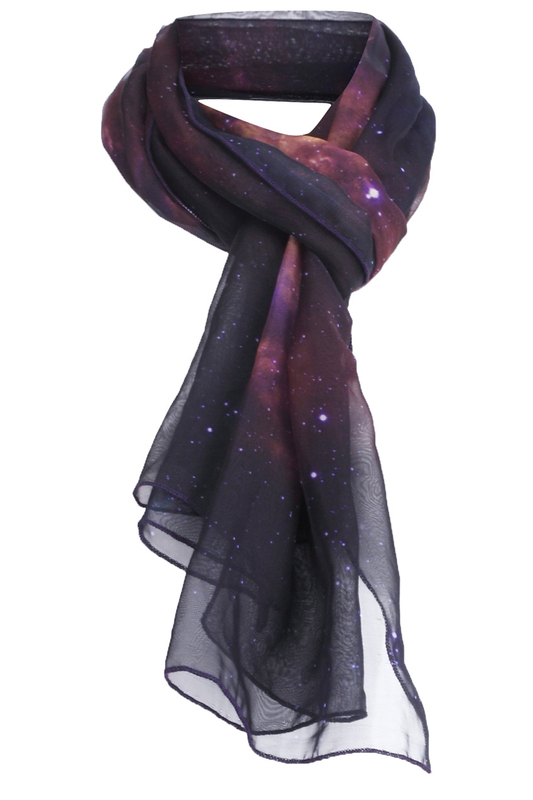 The long scarf in the following one looks ethereal. It can be worn in many ways without any further accessories as it is stylish enough. 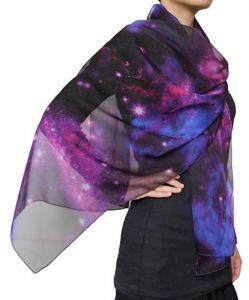 Infinity scarves are easy to wear solutions for all busy bees. 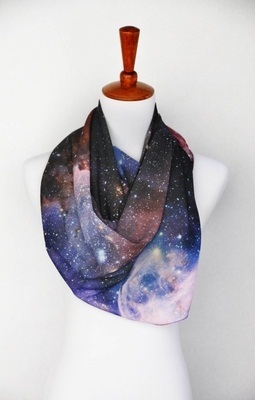 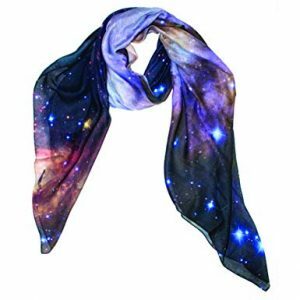 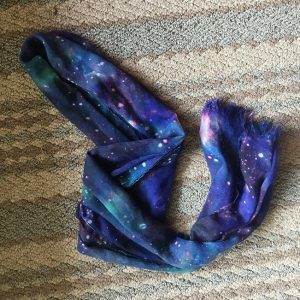 Just wear something suitable and you are good to go, especially when the scarf is printed with a galaxy design. 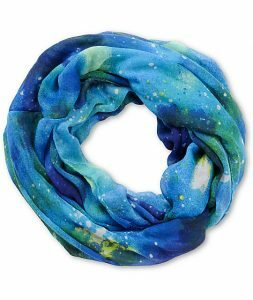 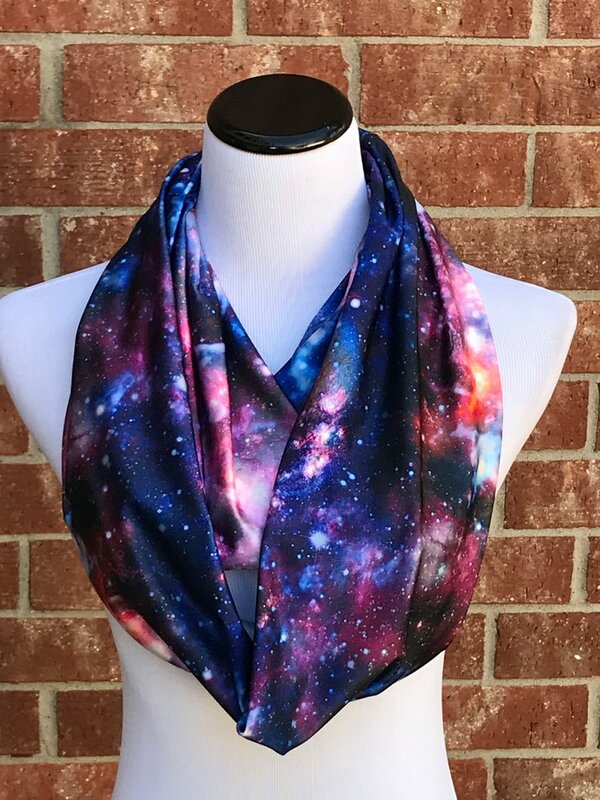 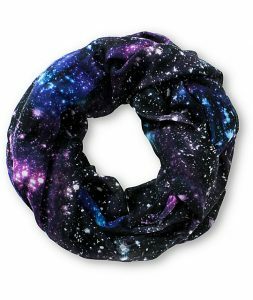 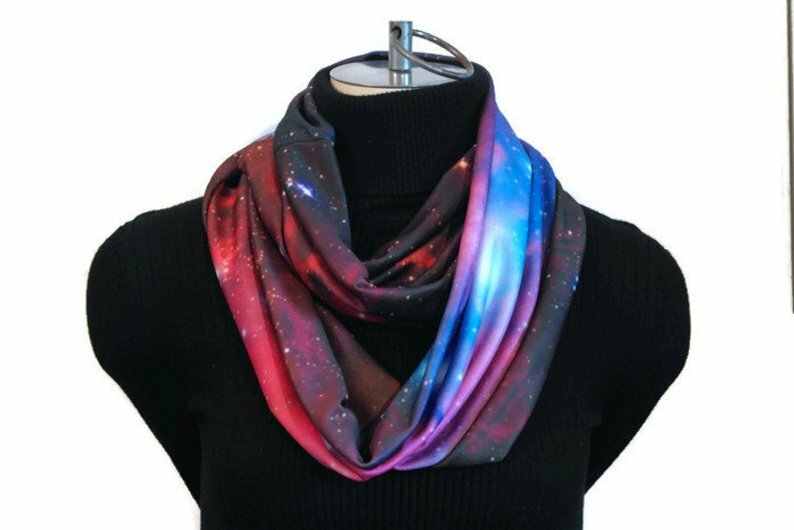 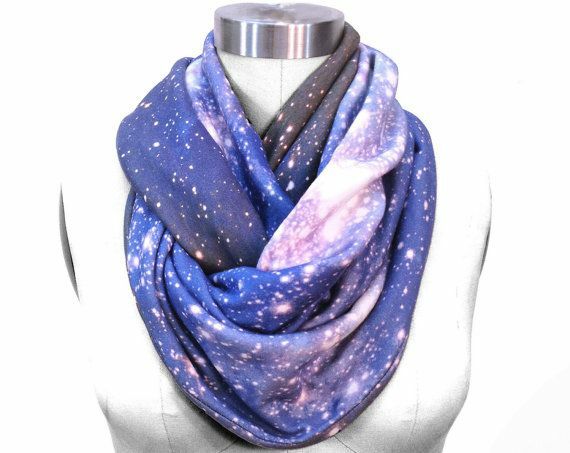 No fuss yet gorgeous enough to be worn to a party, infinity scarves with galaxy prints have unmatched popularity. You can opt for color-coordinated dresses with such scarves.